Oxidative stress and vascular insufficiency is thought to play a key role in cognitive decline. Epidemiological studies suggest that eating foods rich in antioxidant, such as those on which the Mediterranean diet, may have a cardioprotective effect, helping to slow cognitive decline. However, the experimental evidence in support of this tesoria, have been lacking. To address this, Emilio Ros, of the Department of Endocrinology and Nutrition, Institut d'Investigacions Biomèdiques August Pi Sunyer (Barcelona, ​​Spain), conducted a randomized clinical trial of 447 cognitively healthy people (but at high cardiovascular risk) , average age 66.9 years. Participants were randomly assigned to one of three groups: the Mediterranean diet supplemented with 1 liter per week of extra virgin olive oil, a Mediterranean diet supplemented with 30 g / day of mixed nuts (walnuts, hazelnuts and almonds), or a control diet low in fat. The results showed that participants assigned to the control diet group had a significant decrease from baseline in all aspects of cognitive function. While the memory is significantly improved in the group of the Mediterranean diet, both nuts in the group, both the group of olive oil. The authors concluded: "Our results suggest that in an older population a Mediterranean diet supplemented with olive oil or nuts can counteract the age-related cognitive decline. 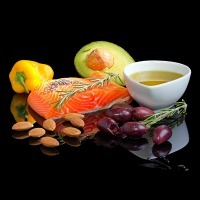 The present results obtained with the Mediterranean diet are encouraging, but further depth. The lack of effective treatments to delay the onset and / or minimize the effects of cognitive decline and dementia, is a major problem to solve, in an aging population more and more. "